Merry shopping and prosperous retailing! Christmas and New Year are just around the corner and shopping during this time of the year is at its peak. Amongst the festive shopping chaos, retailers and shoppers need to get their act right so that they do not miss out on anything – the maximum margins for retailers, and the right products for shoppers. While shoppers – they are the ones who are connected – have the power of choice, the option of using multiple channels and alternatives through intense competition amongst brands. At this juncture, shoppers only know one thing, to get what they want, and they would not hesitate to switch between channels or for that matter even between brands, to do that. It is at this juncture that retail businesses can seize the opportunity to make their mark on the customers and step ahead of their competition. Connecting all the way – Gone are the days when the transaction marked the end of the sale and engagements were limited to product queries and purchases. Today, when customer expectations have reached new heights, better customer interaction is one of the necessities for retail owners to take cognizance of. They need to constantly engage with their customers, right from the product research stage till the next purchase, and it does not end there. Some benefits of connected retailing would be nurturing brand-customer relationships, enhancing customer loyalty, knowing the customers purchase history better and tailoring offerings to the customer’s tastes. Choice is bliss – It should be the top prerogative of the retail businesses to add to the festive cheers by offering customers ample choices – be it products, prices, channels, promotions, and so on. Having said that, retailers should not overwhelm their customers with choices such that they are unable to make a decision. Rather, they should help their customers in choosing the right product that would be the best fit for the customers’ needs. Having the required quantity of merchandise and inventory, appropriate pricing of products, relevant and attractive promotions, and cross-channel operations­ are some of the necessary measures retailers need to take for providing a better and choicest shopping experience. 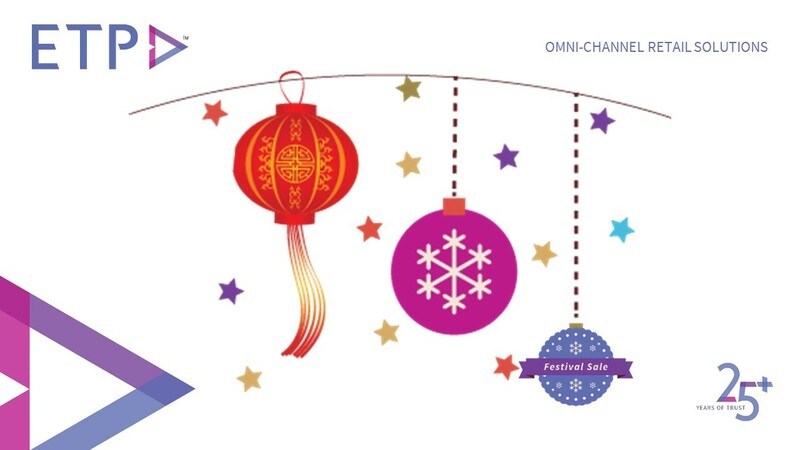 Creating the ho, ho, ho omni-channel experience – Retail businesses need to go omni-channel as it is the new norm and there are no two ways about it. If a customer would like to research for a product online, purchase the product in the store and expects it to be delivered at home, the retailer needs to manage the whole process seamlessly and satisfy the customer’s expectation. This would delight the customer since they are being offered a unified and seamless experience throughout their shopping journey regardless of the channel they choose to interact with. Investing in the right omni-channel retail solutions will allow retailers to spread the festive joy through superior customer experience and ring in more sales. To make the Christmas shopping season truly merry, retail businesses need to be connected with their customers all the time, help them with the right choice, and provide them with a seamless omni-channel customer experience. This will help the retailers and their customers have a happy and prosperous New Year.